A certified translation is essentially a sworn statement affirming the translator’s ability to translate a document from the original language to the English language accurately. 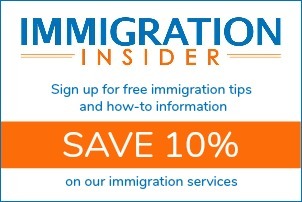 Why does USCIS require a certified transation? Any document containing foreign language submitted to USCIS shall be accompanied by a full English language translation which the translator has certified as complete and accurate, and by the translator’s certification that he or she is competent to translate from the foreign language into English. If you have included any foreign language documents with your USCIS application or petition, you must also submit certified translations into English. Common documents that require a translation include: birth certificates, death certificates, passports, marriage and divorce certificates, and academic transcripts. Any foreign language documents that support your USCIS form must be translated into English with a certified translation. I, [typed name], certify that I am fluent (conversant) in English and [foreign language], and that the above/attached document is an accurate translation of the document attached entitled [name of document]. You may download the sample certified translation below as a reference. The sample is for a utility bill, but each document is unique. So you’ll need to apply the same process to your specific situation. Professional translation services like Day Translations know how to prepare certified translations that will be accepted by USCIS. As an active member of the American Translators Association (ATA) and the National Association for Judiciary Interpreters and Translators (NAJIT), Day Translations provides the highest level of professionalism and excellence. Their experts will certify the translation and give you the confidence that everything is right. Where is the visa number on a U.S. visa? Where can I find my Social Security Number?